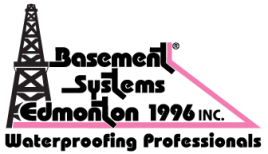 Basement Systems also referred us to a handyman who would do the repairs after the job was done - re-installing insulation, drywall, trim, etc. They were very professional as well at a great rate. A good experience overall. We had 6 estimates from different companies to try to figure out how to fix our leaky basement. Basement systems was professional, clear, friendly and we had faith in this company from our first interaction. Very friendly and polite, on time, worked efficiently. Ensured that they communicated when they were arriving and leaving and were very polite and clean. Above and beyond my expectations. They cleaned up every pebble and bit of dust they could find. Having a leak in our basement was a very negative experience. I operate a business out of our basement and was very concerned about the effects this would have on my business and income. After getting 6 estimates, doing countless hours of research on line and getting advice from everyone we knew - we chose Basement Systems. The entire process was very well explained, everything was done on time and at the price quoted. It was comforting to know that our basement was being looked after by professionals who had our best interests in mind. Our basement is better than before and we can now carry forward - enjoying our dry basement that does not smell musty! Thank you so much for making this large repair as pain-free as possible. See what other customers from Sherwood Park say about us!